Anything in between, like binapple juice? Photo courtesy of Judith Schaechter. Drinks found at Japanese supermarket. At least you’ll sure that your not drinking milk from a gay cow! 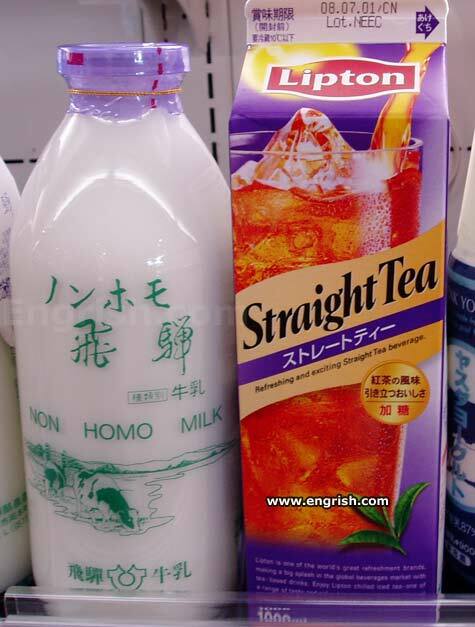 Finally I can have a glass of non homo milk! oh, and, mix them both together for the perfect cuppa. Now served at Chick Fil-A. For gayphobes only. Other racists check your allocated aisles please.